SURGE® Hydro Program Design – 202 – Dynamic Duo Inc.
You’ve done the basics, now complete the picture with pure programming ideas for the SURGE® Hydro Ball. Three distinct workout styles – FLOW, META and FUSE – are delivered with templates designed to stimulate creativity. Learn program design formats for specific training outcomes that are adaptable for all fitness levels. 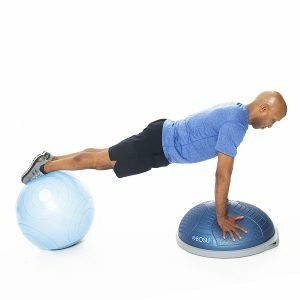 FLOW is the art of fluid movement, seamlessly linking SURGE® Hydro Ball movements with the option of layering movement to music; META is a torrential training experience with intense drill-based HIIT programming; and FUSE adds a splash of hydro fun with partner and team-based activities perfect for boot camps and circuits. Add excitement and new dimensions to your training toolbox!